To overcome these barriers, the continuous improvement program must focus on a few simple and measurable drivers. The three most effective are time, quality, and cost, as explained below. Time. How much time do you spend each day doing unproductive activities such as waiting for someone to respond or returning a defective item? In maintenance, reducing “cycle time,” i.e., the total time taken to complete a process, is an important way to improve productivity. The CMMS is an excellent tool for measuring components of cycle time, such as response time, service time, and downtime. Quality. 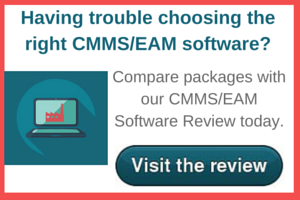 For some companies, the biggest opportunity for improving processes is to “do it right the first time.” A CMMS can be used to highlight recurring problems, which, through root-cause analysis, can lead to significant improvement. For example, suppose recurring downtime on a piece of equipment is traced to improper lubrication. A process could be put in place to conduct a simple PM routine to lubricate the machine each day during setup. Cost. The third key driver of a continuous improvement program is cost reductions through productivity gains. The CMMS can report on areas of high cost and drill down to the supporting cost detail, especially if activity-based costing is employed. New processes can then be established to cut high-cost areas.